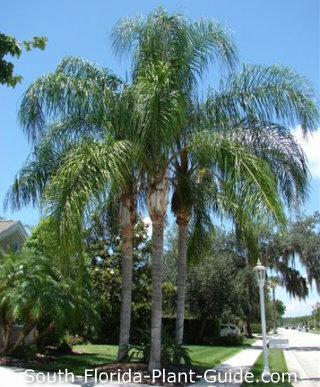 The popular queen palm tree has everything we love in a landscape palm - a stately yet tropical look, a fast growth habit, and a moderate tolerance for cold, drought and salt air. 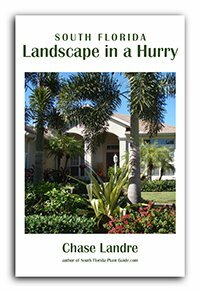 With its smooth gray trunk and long, glossy fronds like feathery plumes, the queen is a big favorite for home landscapes in South Florida. This is a solitary palm (grows a single trunk) but can be effective planted in groups as well as alone. Queens are fast growers, reaching heights of 40 feet. The quick growth rate makes them fairly inexpensive to buy and a good choice for those who want a finished look sooner rather than later. These palms are moderately cold hardy, doing well in areas of Zone 9B that border 10A. They're moderately salt-tolerant and moderately drought tolerant (once established). They're not choosy about light conditions, performing well in full sun to partial shade. 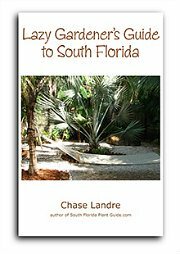 The orange fruit this palm drops can be messy, so consider this fact when choosing a planting spot. This palm tree should be planted with top soil or organic peat moss added to the hole. These aren't self-cleaning palms, though dead fronds will drop off eventually - a plus when the palm is too tall to hand-trim. Fertilize in spring, summer and fall with a quality granular fertilizer containing micronutrients. Queens have a tendency to blow over in a very strong wind because their root system is weaker than most palms. So you're better off planting well away from the house - at least 10 feet out. 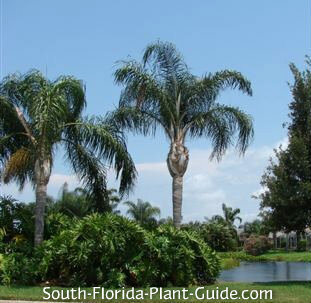 When planting a row or group of these palms, you can situate them 4 to 5 feet apart or more. This is not a good palm for containers since it grows so quickly. 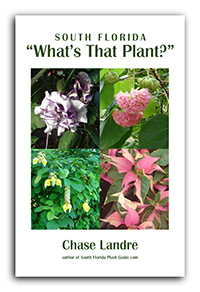 COMPANION PLANT SUGGESTIONS: Since the queen grows fast, you can use medium to large plants at its base, including hibiscus, selloum philodendron, Burgundy loropetalum, bush allamanda, ligustrum sinensis, Cape Tecoma honeysuckle, cape jasmine, or copper plant.